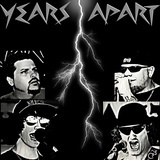 Have you bought Years Apart's very first debute CD? Well here is your chance! Now on sale for $10, take a look back at the band we started as and see how far we've come to becoming the band we are today!